Sign up for Broadjam today to follow Mouse Pocket, and be notified when they upload new stuff or update their news! 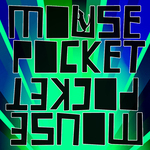 Mouse Pocket's first ever "studio" album was recorded in Bryan Zannotti's living room from March to May of 2010. Chock full of hummable melodies and flowing improvisation, this record highlights and brings together the influences that each member has grown to know throughout their individual lives. At eight tracks and around 35 minutes in length, this authentic, jam-filled album will surely have listeners putting the loop on it. Dan Collins and Alex Toast's original lyricism can be seen in songs like Collins' "Not Dead Yet?" and Toast's "Reasons." Chris Rodey's sax licks catch on quickly, as do Bryan Zannotti's drum grooves. Patrick Longmire consistently holds down the low frequencies and Alex Toast strums on the guitar with conviction. Collins plays the keys throughout and sings co-lead vocals alongside Toast.